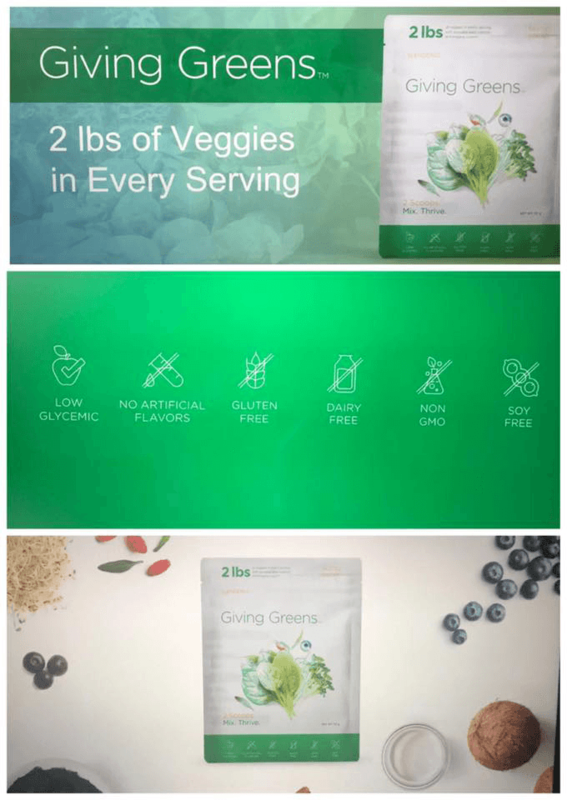 Part of the Slenderiiz™ weight management line, Giving Greens™ is a whole-food veggie, nutritive powdered drink mix offering sprouted-seed nutrition and an enzyme-rich superfruit blend that provides your body with vital nutrients to boost immunity, support cardiovascular health, fight free radicals and aid digestion. A busy life makes it difficult to feed your body the nutrition it craves, but Giving Greens makes it easy! With only 15 calories per serving, simply mix Giving Greens' nutritive powder with water or blend in a smoothie! Sweetened by nature with superfruits combined with coconut, notes of cinnamon and a hint of stevia and xylitol, Giving Greens has a naturally sweet taste that doesn't make you think you are sucking the juice from a lawnmower. 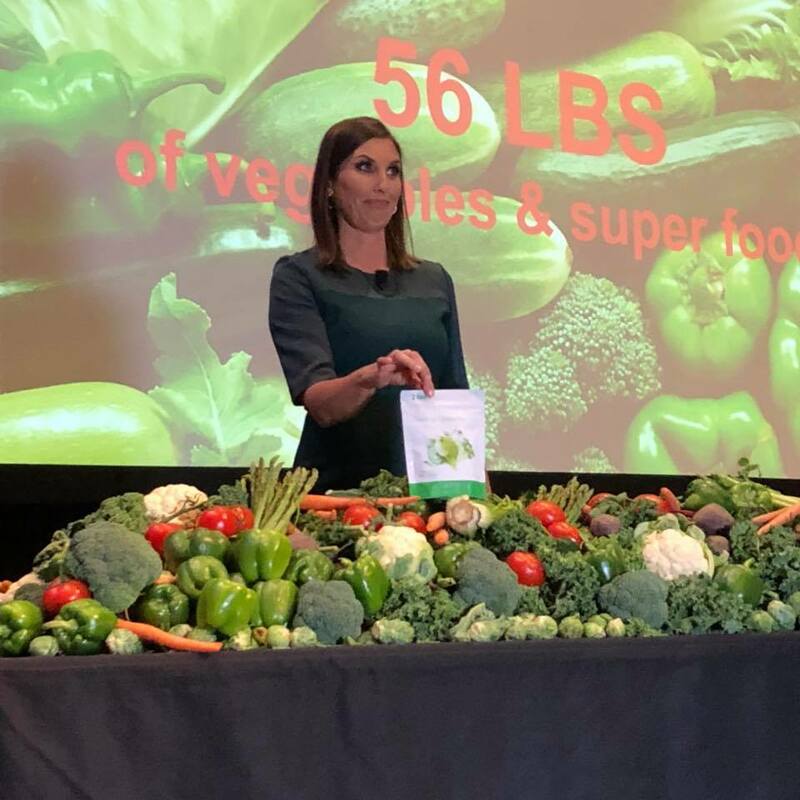 Fiber helps to keep you regular, support blood sugar levels that are already in the healthy range and aid in weight management, but only a little more than 3 percent of Americans are meeting recommended fiber intake. 2 With Giving Greens, you up your fiber game. It's a win! Broccoli sprouts are a nutrition powerhouse, packing 10 to 100 times more sulforaphane, a compound shown to promote detoxification and strengthen antioxidant power. Amaranth is high in fiber and the essential amino acid lysine and contains as much as 12 to 17 percent protein. Millet's stellar nutritional profile, which includes manganese, phosphorus, magnesium and niacin (vitamin B3), ensures its place among the leading heart-healthy ingredients. GIVING GREENS GIVES NUTRIENT-DENSE VEGGIE POWER — NO JUICING REQUIRED. Sprouted seeds are brimming with nutrition, and when harvested at the peak of the sprouting process, nutrition levels are maximized and healthy compounds are unlocked. If you don't have enough digestive enzymes, you can't properly break down food efficiently. Our premium enzyme blend includes highly active digestive enzymes that help your body unlock Giving Greens' nutritive goodness. Immune-boosting acerola cherry, antioxidant-rich blueberry and goji berry — also known as the "happy berry" — make up our superfruit blend. These cherries and berries are determined to help you have the best day ever! 1 USDA, Economic Research Service, Loss-Adjusted Food Availability Data. 2 U.S. Department of Agriculture. Dietary fiber (g): usual intakes from food and water, 2003-2006, compared to adequate intake. What we eat in America, NHANES 2003-2006. Applicable to U.S. and Canada only. 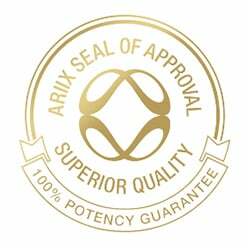 © 2018 ARIIX. All Rights Reserved. Revised 09/2018.